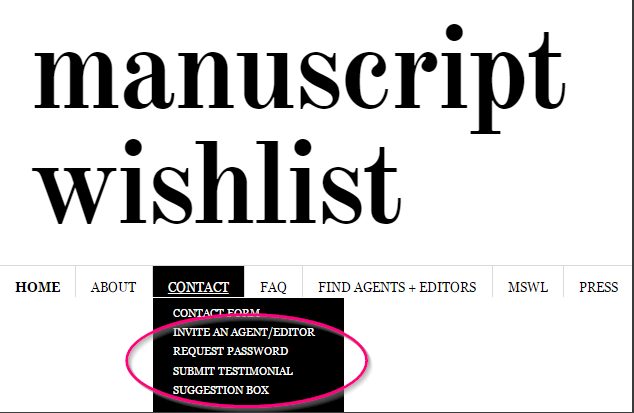 Welcome to the new Manuscript Wish List™! 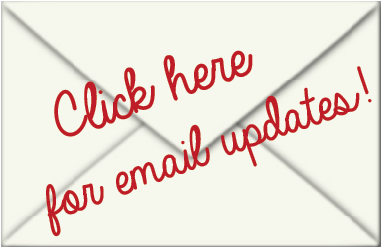 You asked–we answered! 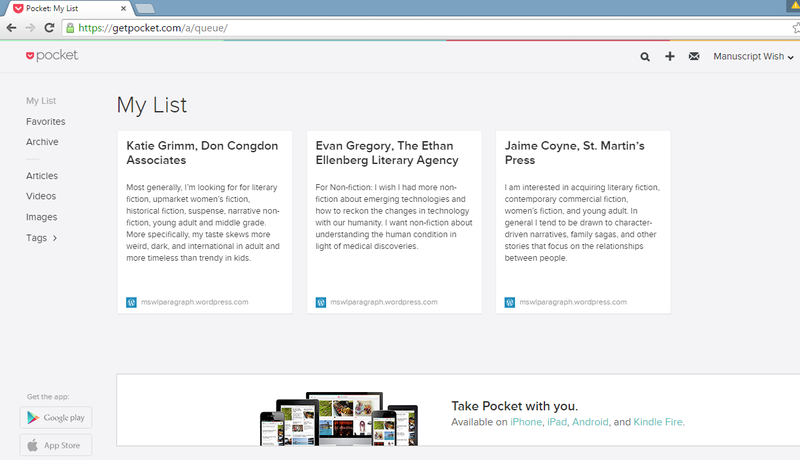 We’ve added new features to make the site smarter, faster, and easier to navigate. 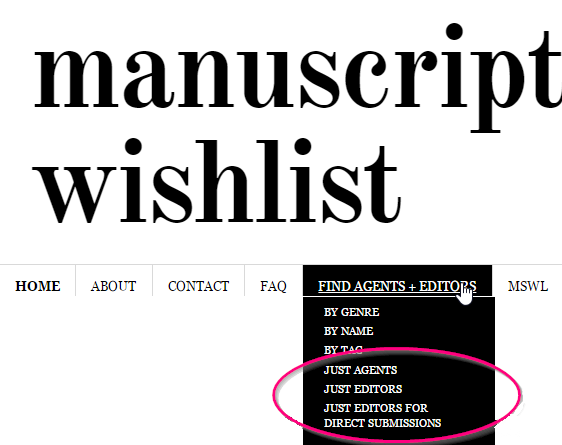 You can now search by Just Agents, Just Editors, Just Editors Who Take Direct Submissions (editors who will take submissions without an agent), and Everyone Who Takes Direct Submissions (with the caveat that submitting to editors and agents simultaneously may not be wise). We’ve added smarter integration with #MSWL on Twitter. 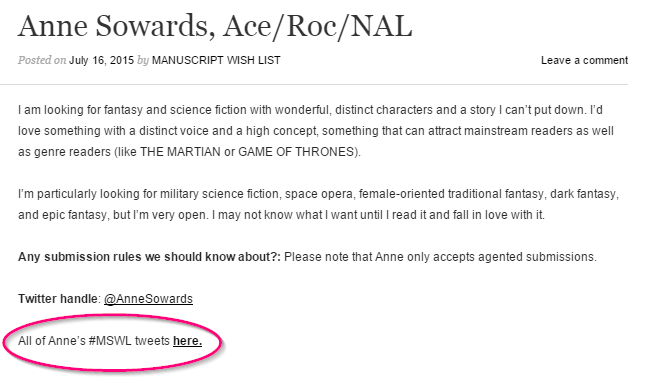 You can now browse #MSWL by genre suggestions and perform curated searches on the hashtag (so you won’t see pitches, spam, or people misusing the hashtag). Note that there’s also a Report Misuse form on the bottom of the Curated Searches page, so we can continue to update the coding for these searches to exclude them. 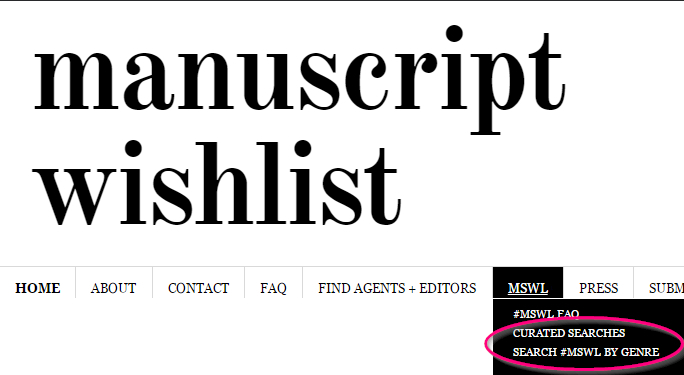 *Assuming that agent or editor is on Twitter. More tools for submitting your listing–now, in addition to Classic Submit, there are Prompts (if you can’t think of where to start) and a Quick Submit/Multiple Choice option, which is designed to take 45 seconds. And you can always Add Information and/or Update your listing. 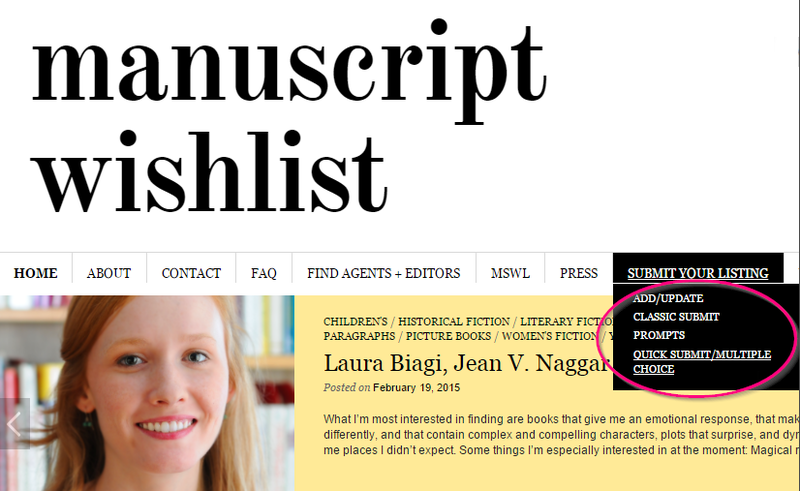 You can now make your own list of favorite agents–or agents and/or editors to pitch–with one click. 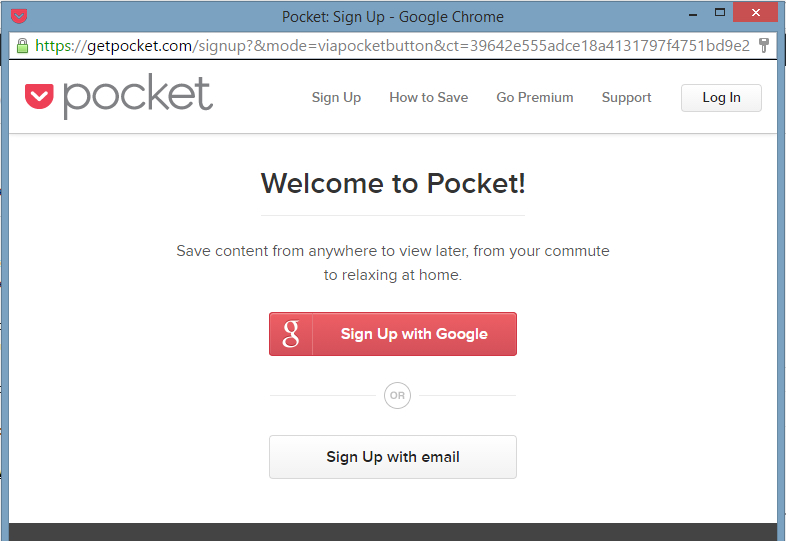 Go to the full version of any post (click “continue reading”) and find the “Pocket” button on the lower-right corner. Then this window will open. Click either of the options. 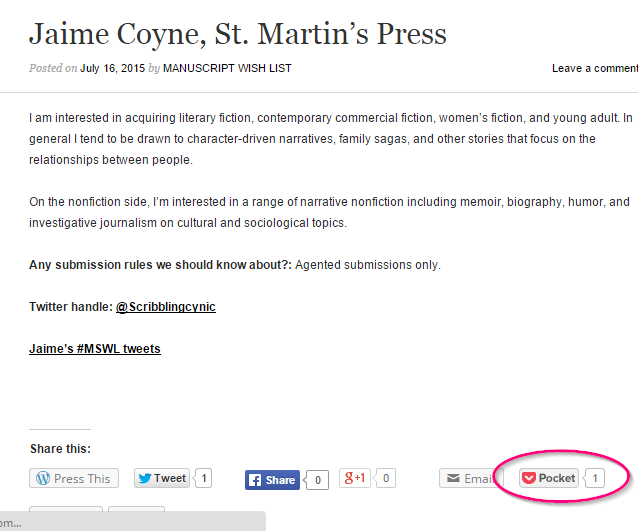 Once you’ve done this, you can collect your favorite posts with one click. There are TONS more features coming soon, as we’ve had an incredibly generous offer of the kind of coding we didn’t think we could get without venture capital. We’ll keep you updated!